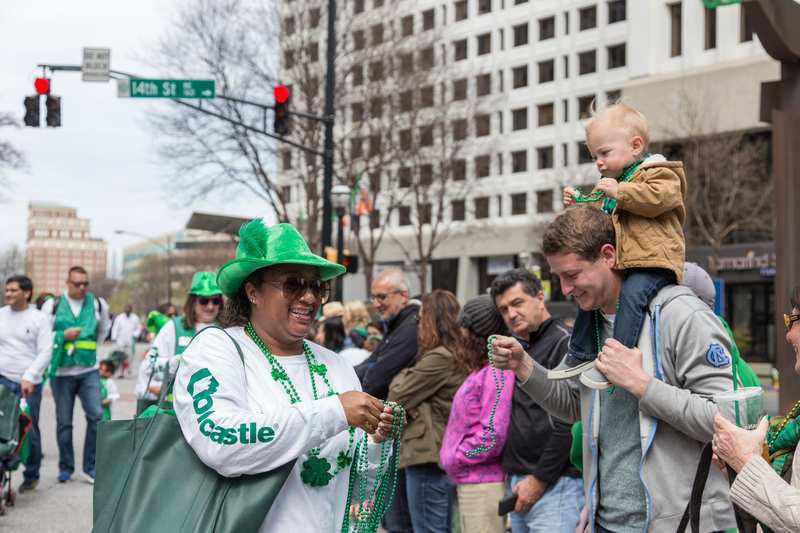 The streets of Atlanta were transformed into a sea of enchanting green leprechauns, clovers and the occasional pots of gold on March 11. This was all due to the annual St. Patrick’s Day Parade. 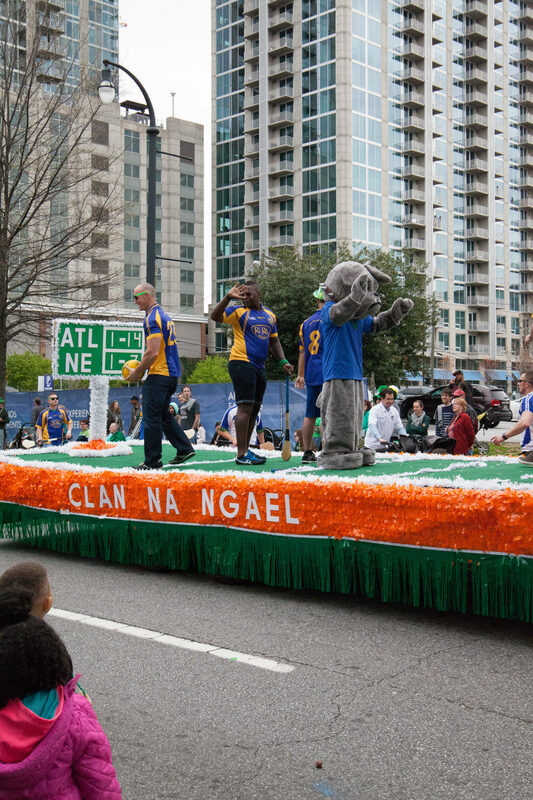 The parade was started in 1958, making it one of the nation’s oldest celebrations, according to atlantastpats.com. It was created by Hibernian Benevolent Society, which was a Catholic and Protestant fraternal organization. 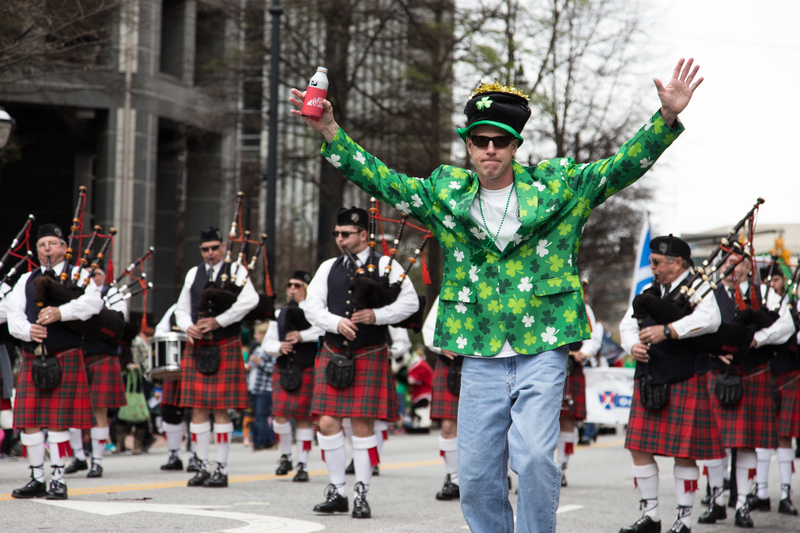 The parade combines elements true to the Irish heritage and culture, as well as elements of appeal for all Atlantans to enjoy. The parade featured clowns, bagpipe performers, bands, floats, activities, dancers and more. 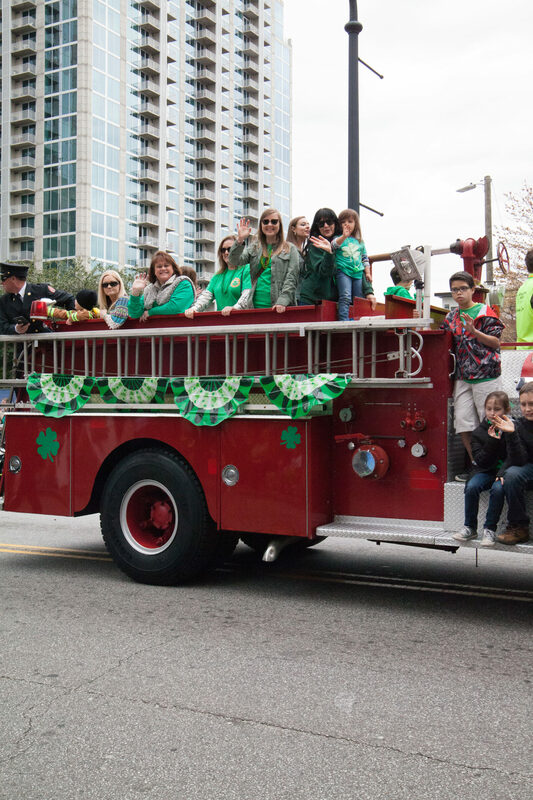 The parade represents organizations that promote the Atlanta’s Irish community and maintain proper depiction of the culture, like the members of the Hibernian Benevolent Society, the Ancient Order of Hibernians (AOH), Clan Na NGael, Fire Emerald Society of Metro Atlanta (FESMA), the Irish Information Center and the Metro Atlanta Police Emerald Society (MAPES). 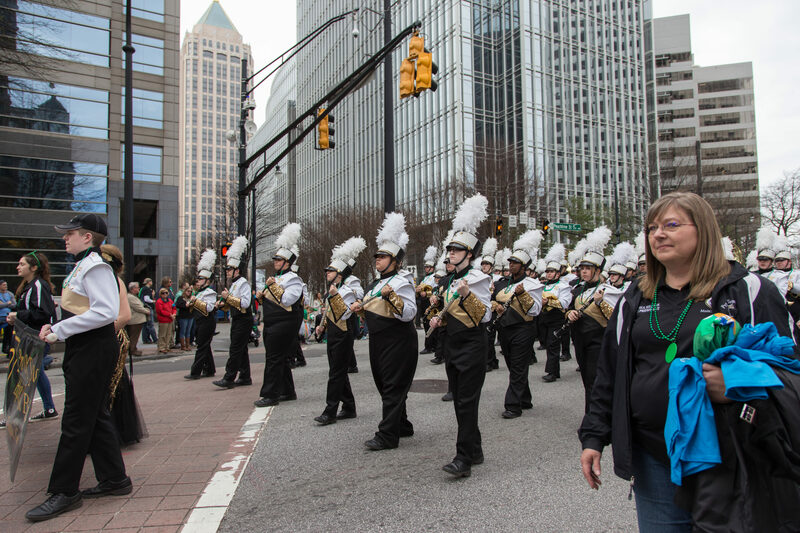 The Signal contacted Atlanta St. Patrick’s Day Committee for more inside details of the festival and everything it took to bring another successful extravaganza to Atlanta. 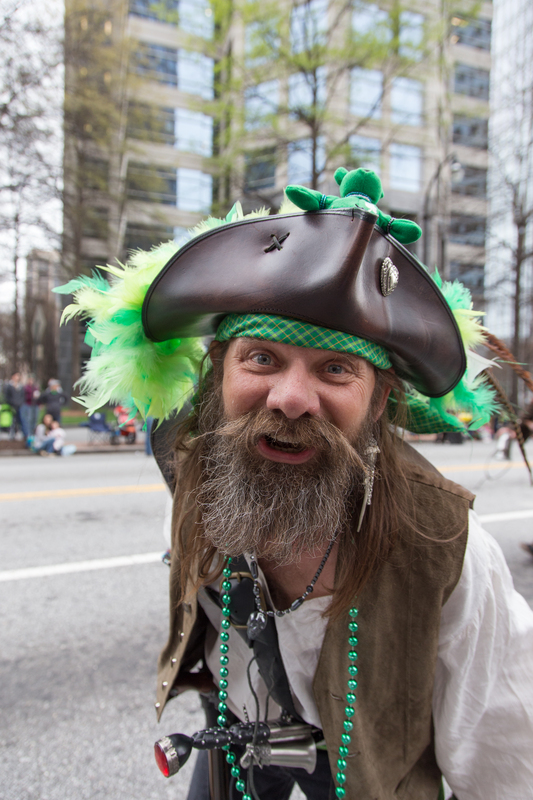 What is the history of the parade here in Atlanta? 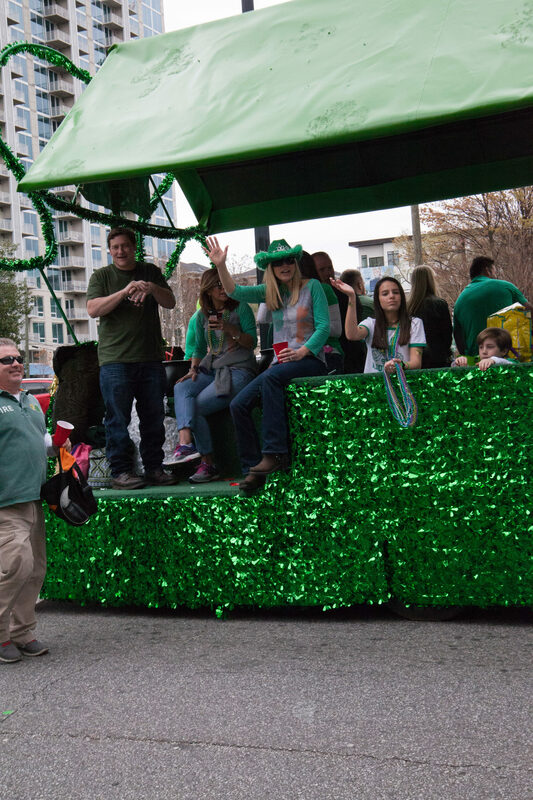 Dave Fitzgerald, chairman of the Atlanta St. Patrick’s Parade: Since the first St. Patrick’s Day parade in 1858, the City of Atlanta has supported the Hibernian Benevolent Society St. Patrick’s Day Parade in memory of the heroic efforts of Father Thomas O’Reilly and of the Hibernian Rifles. Oakland Cemetery contains a plot dedicated to the Hibernian Rifles in gratitude for their service to the city. HBSA members can still be buried there today. The Atlanta Constitution, in 1893, told of an eventful St. Patrick’s Day parade with a full-page account of the festivities. 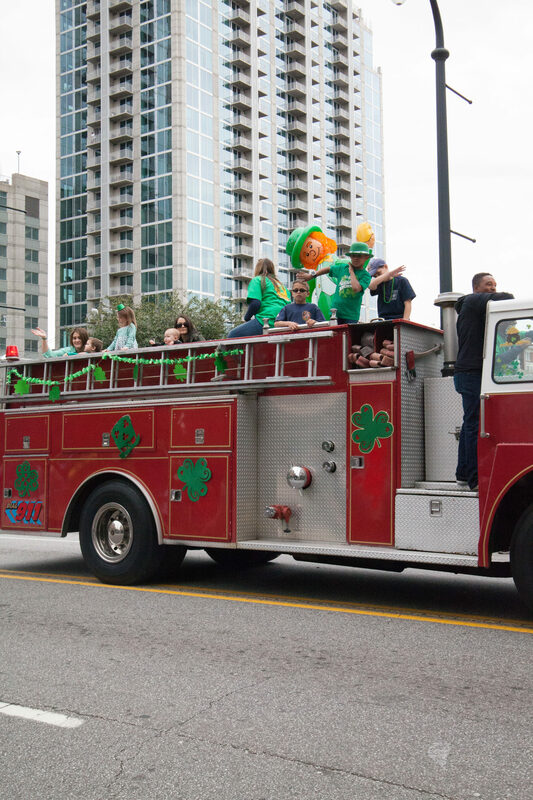 The article read as follows: “Three hundred Irishmen from the Hibernian Benevolent Society along with the Ancient Order of Hibernians, and the Catholic Knights of Atlanta, marching to the music of the Fourth Artillery band filed into the Catholic Church for Mass, at which Father Clifford preached on the life and work of St. Patrick. Upon the conclusion of Mass, the societies paraded to the Opera House on Marietta Street to celebrate. What aspects of the parade do you think people enjoy most? 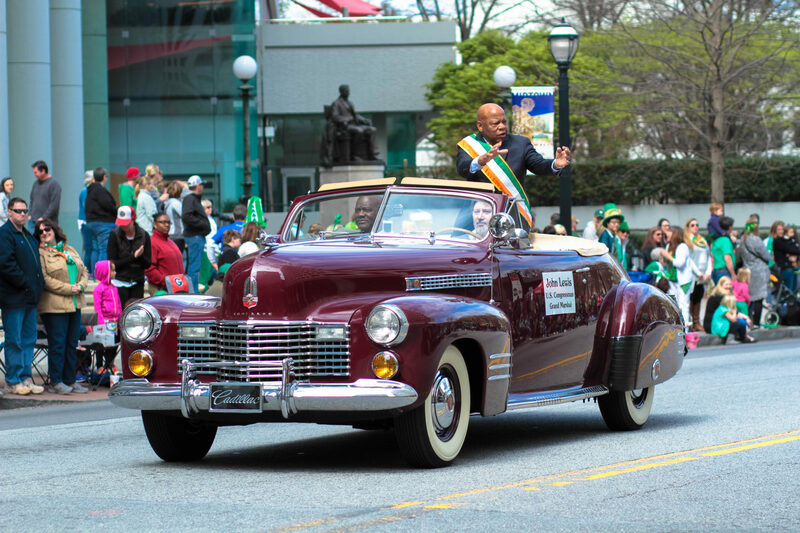 Fitzgerald: “It’s a celebration of our community – the Parade is an opportunity for all Atlantans (no matter their age) to come together and have a great time celebrating the city’s Irish heritage. What new features did the parade have this year compared to last year? Fitzgerald: Congressman John Lewis was this year’s Grand Marshal. Legendary BMX athlete, Bo Wade, performed throughout the parade. The Monster Energy sponsored athlete did not disappoint in his performance. This year, the 501st Legion was led by 8-year old, Sam, an avid Star Wars fan, who was diagnosed with a rare congenital heart defect called Hypoplastic Heart Syndrome. 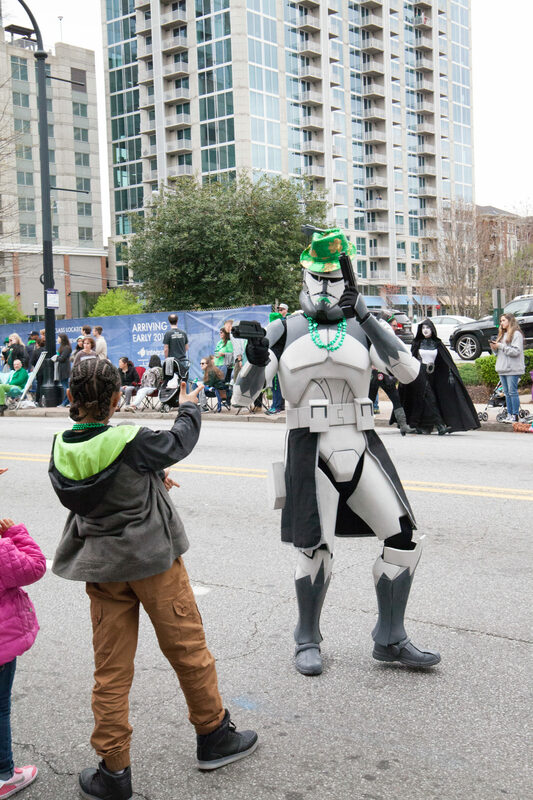 The Atlanta St. Patrick’s parade committee joined forces with Make-A-Wish Georgia and the 501st Legion to provide a special opportunity for Sam and his family. We partnered with Colony Square in Midtown, where the Parade kicked off. Colony Square’s “Luck of The Square” festival featured live music, delicious food, face-painting and beer. Why do you think people enjoy celebrating St. Patrick’s Day so much, what about it makes it a fun holiday? 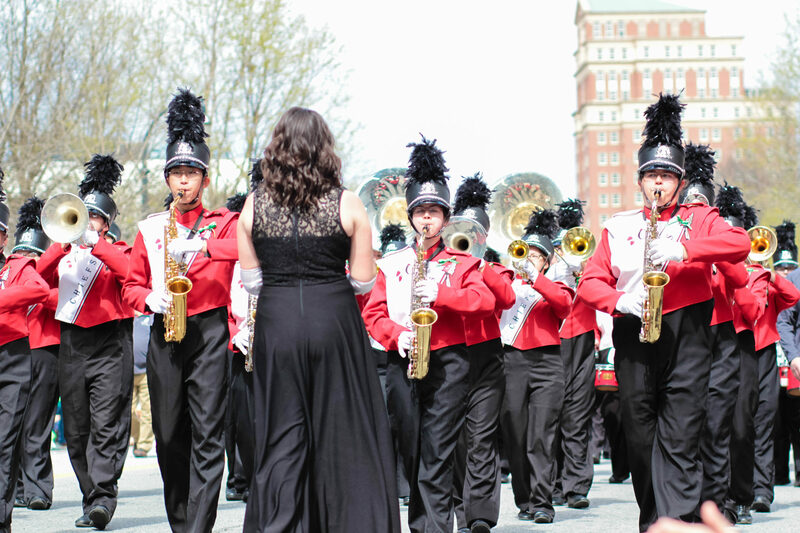 How did the Atlanta parade differ from others, let’s say the one that happened in Savannah? Fitzgerald: The Atlanta Parade is a family friendly event with participation from everyone in the city. 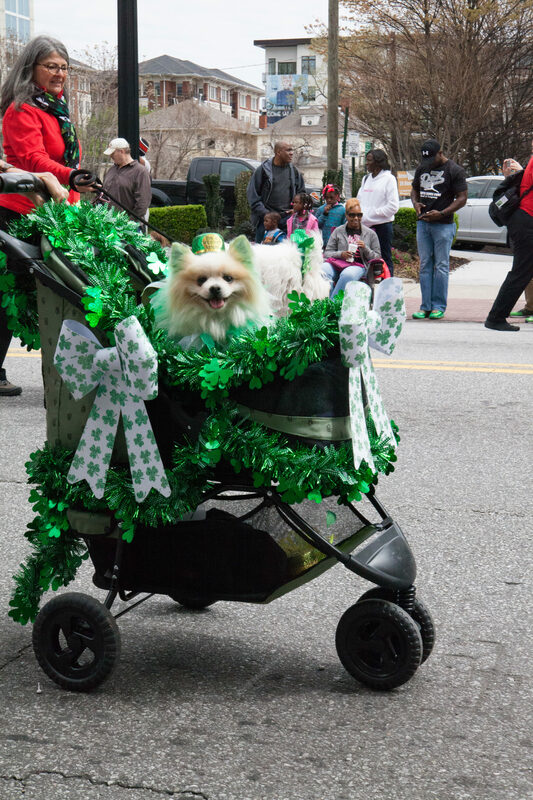 It is one of the oldest parades of its kind in the U.S. and is the longest running event in Atlanta’s history. More than 80,000 spectators have attended in recent years. 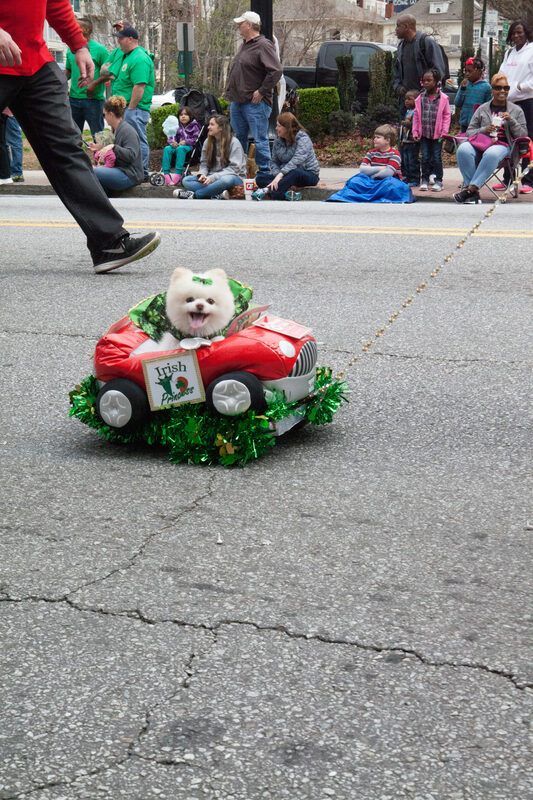 The annual parade always includes local and Irish dignitaries. Why do you think Georgia State students would enjoy going to the parade next year? Fitzgerald: Georgia State is a uniquely diverse campus, and this is an organization that is passionate in having a cross-cultural celebration where everyone can come together for a day of fun. There are tons of activities, entertainment and food for everyone to enjoy. What is one thing you always want people to take away from the parade when attending it? Fitzgerald: We want people to take away a sense of the rich Irish heritage in Atlanta, and a desire to come back next year. This parade celebrates our community and everyone in it. 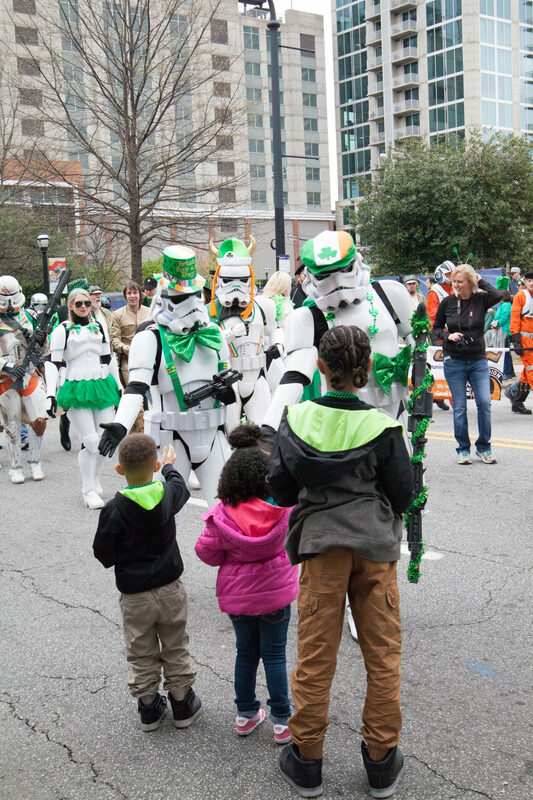 Look out next year for the Atlanta St. Patrick’s Day Parade, one wouldn’t want to miss the luck of Irish surrounding them.